Here we are friends, at the end of our 12 Days of Mochas journey. It's been so much fun as we tried many different flavor combinations and even tried a mocha cake in a mug and some mocha bread. We've also made our very own sauces and syrups for our homemade mochas. From caramel sauce to chocolate syrup to white chocolate sauce, we now have stocked fridge for mochas whenever we want. But there is one more mocha love I want to share. 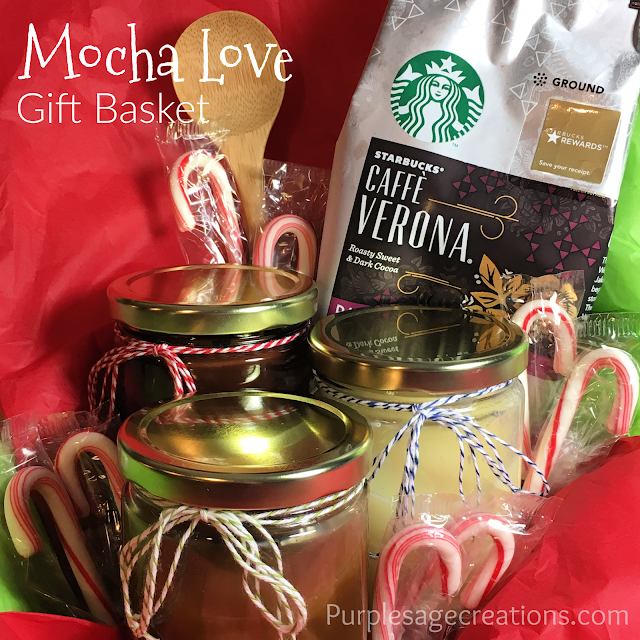 Let's share our love for mochas with another mocha lover with a Mocha Love gift basket. 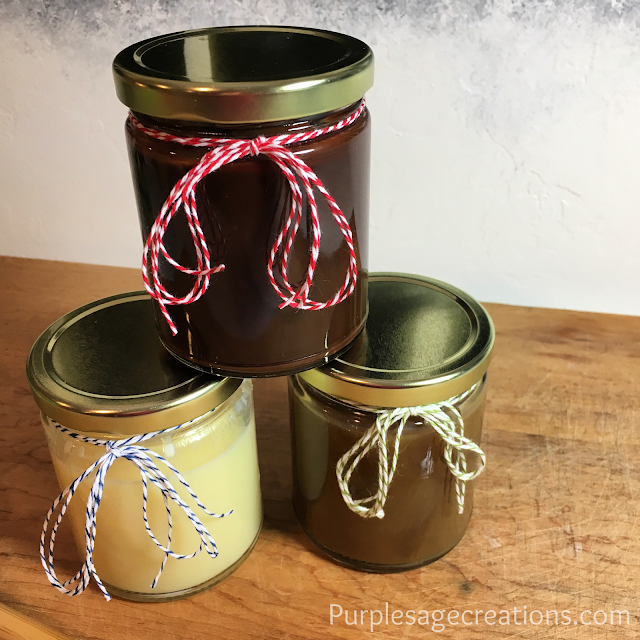 Whip up those homemade sauces and syrups we made during our 12 days of mochas and pour them into some pretty glass jars. Add ribbon or twine for decoration. Then grab your favorite coffee blend. Or perhaps you know your friend's favorite coffee blend. Place it all in a decorative basket with a few candy canes so they could make a peppermint mocha, too. You could even include the recipes from the 12 days of Mochas as well. And if you want to go the extra mile, include a decorative mug. Pour syrups into decorative glass jars. Wrap twine or ribbon around them with a label for each. Place the jars, coffee, and candy canes in a decorative basket filled with tissue paper or paper shavings. If your prefer, wrap the entire basket in cellophane and finish off with ribbons, bows, and your tag. It's been a blast making mochas over the last 12 days. I sure hope you have enjoyed them. Look for more flavor combos in the future. Because I am a super duper mocha lover so I won't stop experiencing different flavor combos as I explore the wonderful world of mochas.